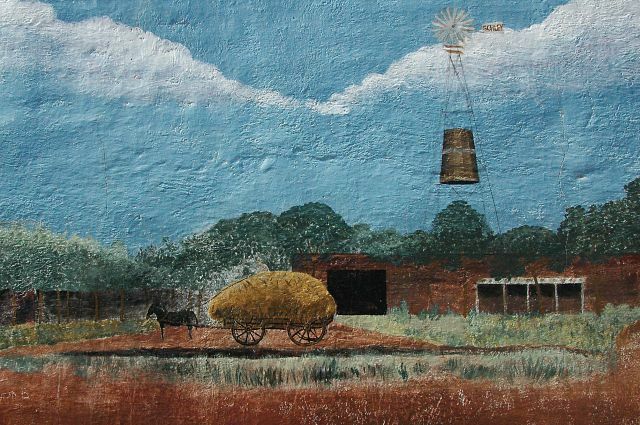 Artist Linda Adams created these scenes of historic Schley County in 2007. 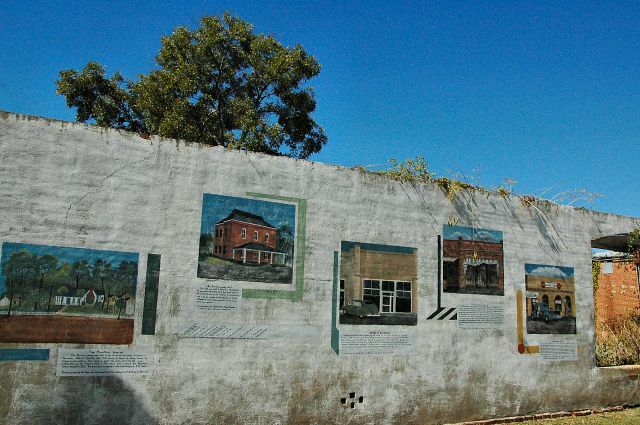 The actual title of the project is “Ellaville’s History Wall”. 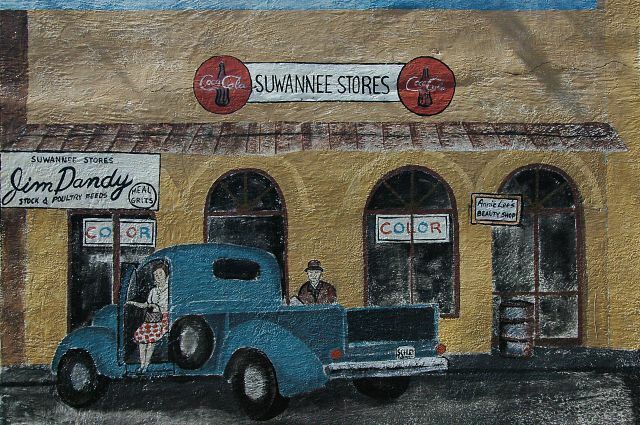 Suwannee Stores was a small chain of grocery stores found throughout South Georgia in the mid-20th century. 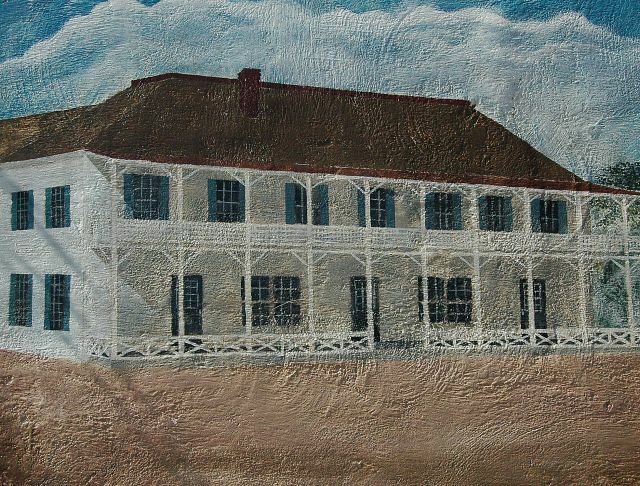 Built by Captain Caleb Peacock, a Confederate veteran, the Peacock Hotel was demolished in 1958. 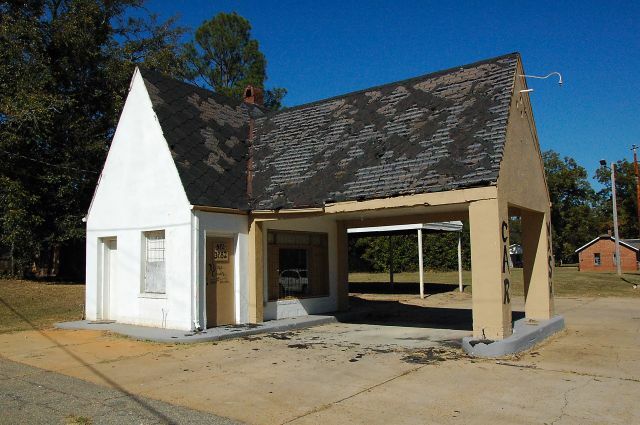 The original depot in Ellaville burned in 1929 and was replaced soon thereafter by this structure. 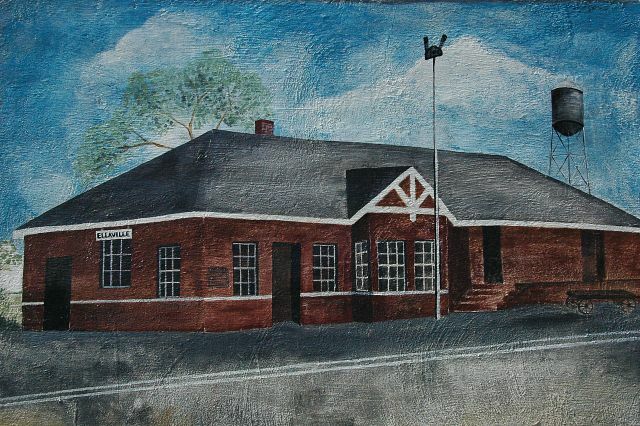 It was demolished in the mid-1970s. 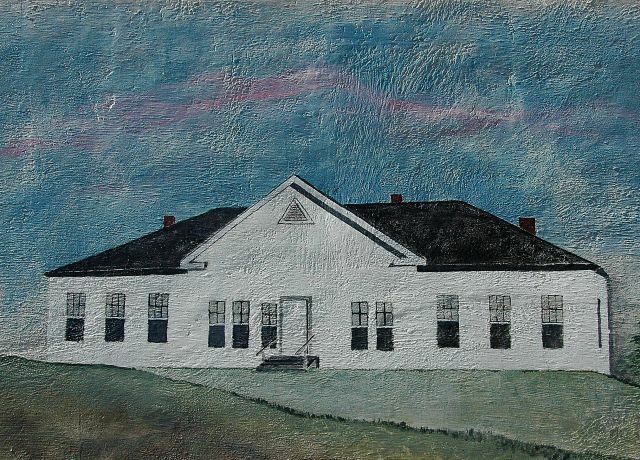 This vernacular frame schoolhouse was in use until 1957, when the State Department of Education recommended consolidation of all the county’s African-American schools into one facility. 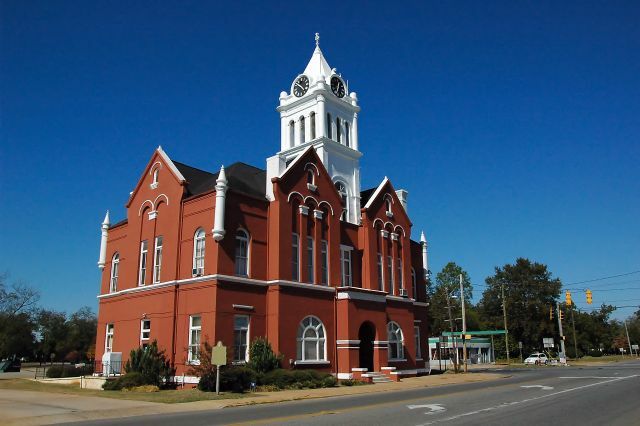 It was demolished soon after that.